How to Choose the Ultrabook that suits you? 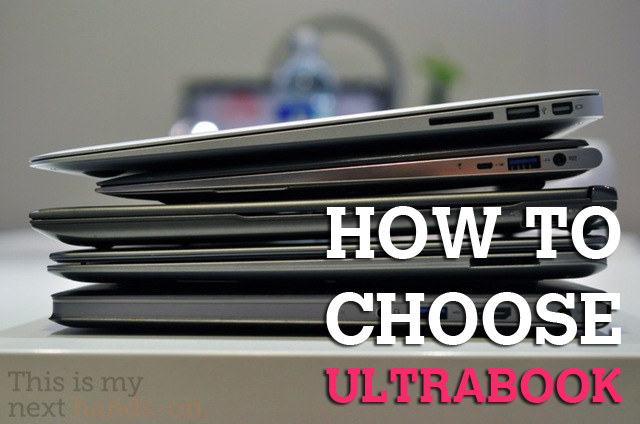 You are here: Home › How-To Guides › How to Choose the Ultrabook that suits you? The concept of portable computers was first conceptualized by Alan Kay in the early 1970s. After ten years of research and development, the breakthrough happened in the year 1981, when the world’s first portable computer was commercially launched in the name of Osborne 1. Since 1981, the portable computer market has grown in leaps and bounds, aided by the development of radical hardware and mobile technologies. Its evolution started from the olden day portable microcomputers, subnotebooks and laptops to the present day netbooks, tablet laptops, and Ultrabooks. Ultrabooks are high-end laptops, with extended functionalities and portability features. The idea of an Ultrabook was first gestated by Intel in the 2011 Computex. Initially when announced, the main objective of an Ultrabook was to reduce the size and weight of a laptop without conciliating on the overall performance; this would increase the portability aspect of the laptop. Since most Ultrabooks are powered by Intel processors, Intel calls for manufacturers to comply with certain specifications in order to commercialize the laptop as an Ultrabook. If your Ultrabook is going to be your most-often used computer, then the prime lookout in an Ultrabook should be the storage size. Most Ultrabook models come with a minimum storage capacity of 64GB of flash storage and 256GB of solid-state drive (SSD) storage. Cost is an important factor which you should consider before splurging your cash on some of these advanced computers. Always look for the product features rather than brand name, because the brand name alone could cost you a few extra dollars. The right price range for an Ultrabook is between $1,000 and $1,300, anything more than this is just a squander. If you want to reduce the size, then you’ll have reduce the hardware options. So, an Ultrabook without an Ethernet port, USB, SD card, and HDMI output is again a needless expense. So, ensure that you have all these output options with your Ultrabook. Now to the main feature of any portable device, battery backup. An Ultrabook should have a minimum battery backup of five hours and a maximum of eight hours. So, if the average battery life lies between this range then you can be sure that you are in for the right product. 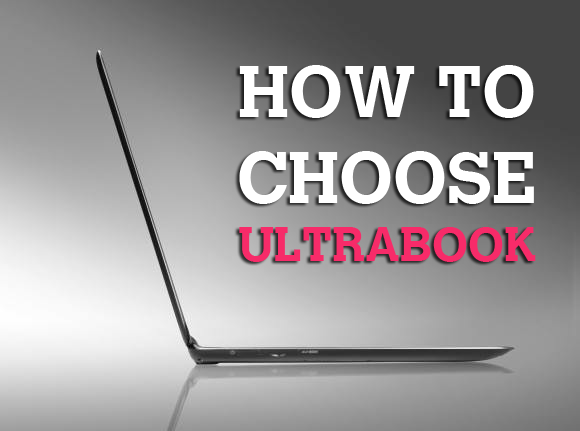 Hope these suggestions will help you in selecting the Ultrabook of your choice. This is a guest post by Lance Goodman of www.dishtvoffer.com , a site that offers savings and current information on dish TV network and services.